Wow! What an absolutely amazing day! 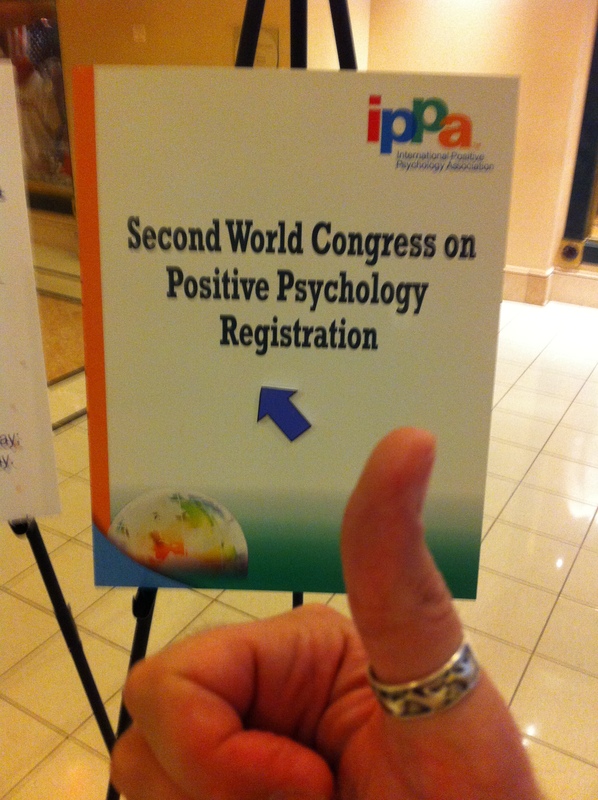 In case you’re just “tuning in”, today is day 3 of the 2nd Congress of the International Positive Psychology Association. * I will report on these tomorrow. It is very late (1:30am here in Philadelphia) so today’s report will probably be fairly short, but I have SO many exciting things to share with you! 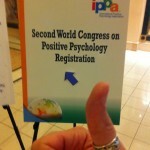 Today was the first day of the 2nd Congress of the International Positive Psychology Association. I was SO excited as I entered the downtown Marriott for the first time. I saw a sign directing me up…. up…. (and away!) Once in the right place, registration was a snap. I was handed my IPPA bag and envelope (I felt like Charlie from Willie Wonka and the Chocolate Factory). Am I Becoming a Happiness Snob? Authentic Happiness is an amazing site – chock full of goodies including self-assessments by Martin Seligman, the founder of positive psychology. 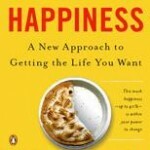 Get Happy.net was put together by Michael Fordyce one of the first to start the formal study of happiness. Happy News – A steady stream of good news. How refreshing. The How of Happiness – Instead of picking the actual site (www.thehowofhappiness.com), I chose Sonja Lyubomirsky’s faculty site because not only does it give you a link to more about the book (which is my #1 pick) but this site offers links to papers, talks and a peek into the cutting edge of happiness research. So, have I become a Happiness Snob? Perhaps. But I would rather be too picky than give you anything but the best. What IS love exactly? How does it work? Are there reasons we love whom we love? Or is our love “unconditional”. If your love is unconditional, what exactly does that mean? Does it mean you will tolerate any behavior? Obviously much has been written on the subject of love. The founder of Positive Psychology, Martin Seligman, purports in his book Authentic Happiness that we love others for a particular combination of strengths that we hold dear. For instance, if we value honesty and our friend or partner exhibits honest behavior, then more tumblers in the key of love fall into place. Seligman lists 24 strengths that play a part in our feelings of friendship and love. You can test go onto Seligman’s site, www.authentichappiness.com and measure your strengths. Invite your significant other to take it too. It’s a great way to get to know each other better. A. Five (or more) of the following symptoms have been present the same 2 week period and represent a change from previous functioning; at least one of the symptoms is either (1) happy mood or (2) interest or pleasure. Note: Do not include symptoms that are clearly due to a general medical condition or mood-congruent appreciation for reality. 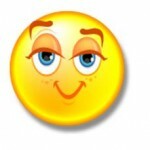 (1) happy mood most of the day, nearly every day, as indicated either subjective report (e.g., feels happy or fulfilled) or observation made by others (e.g. appears smiling). (2) markedly increased interest or pleasure in all, or almost all, activities most of the day, nearly every day (as indicated either subjective account or observation made by others). (3) stable weight with a healthy appetite. (4) sleeps well nearly every day. (5) psychomotor stability nearly every day (observable by others, not merely subjective feelings of stability). (6) adequate energy nearly every day. (7) feelings of worthiness or adequate self-esteem (which is based in reality) nearly every day. (8) increased ability to think or concentrate, or decisiveness, nearly every day (either by subjective account or as observed by others). (9) recurrent thoughts of life (or the joy of living), recurrent life-affirming thoughts with a specific plan for committing to life and the pursuit of happiness. 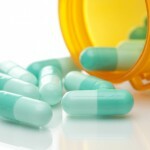 C. The symptoms cause clinically significant enjoyment in social, occupational, or other important areas of functioning. 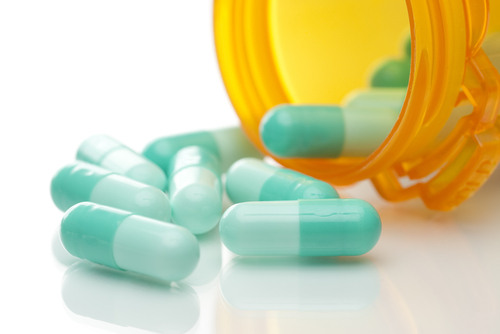 D. The symptoms are not due to the direct physiological effects of substance (such as drug use or medication) or general medical condition. E. The symptoms are not better accounted for by Betrothment, i.e. after marriage to a loved one, the symptoms persist for longer than 2 months or are characterized by marked improved functioning, preoccupation with blessings and worthiness, life affirmations, a clear, reality-based view of life and normal psychomotor functioning. less than two minutes a day to be happier! 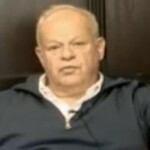 The founder of positive psychology, Martin Seligman, took a group of severely depressed people. He asked them to do one activity per day that took them less than two minutes per day. In 15 days 94% of participants improved to moderately or even mildly depressed. What a great success! What was the activity? To write down three positive things per day. Click here to see Dr. Seligman speak about it himself! It did not need to be something the person did – some sort of success. It could be anything positive. In the Happiness 101 class it has been wonderful to hear the success stories. Many “students” have found that they start noticing the positives all around them – not just when they sit down to write their list, but throughout the day. Give it a try. Share YOUR list with us here.